Mathematics/Statistics/Commerce/Computer Application/Economics/Business Administration/Engineering/Technology at Undergraduate level or Postgraduate level is compulsory for admission into PGDBA. Valid test scores in CAT-2018/XAT-2019 /MAT-(Sep-2018, Dec-2018, Feb-2019 and May-2019)/NMAT/GMAT/CMAT-2019(1st & 2nd tests). 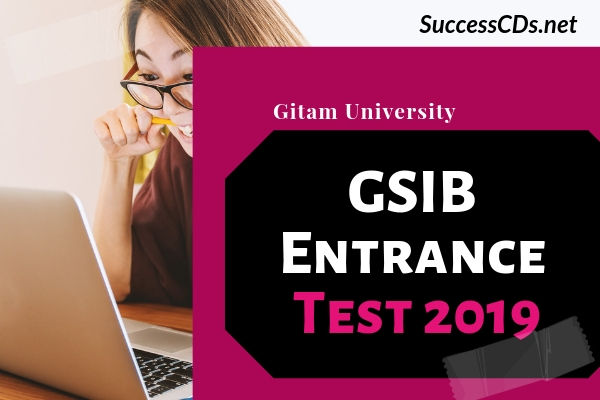 Or GET’19(GSIB Entrance Test 2019). CAT - 50 percentile and above. Under conventional mode, selection process shall include GET’19 or a valid test score and Group Discussion & Personal Interview which will be conducted at Thiruvananthapuram/Bengaluru/ Chennai/ Hyderabad/ Visakhapatnam/ Bhubaneswar/ Raipur /Ranchi/Patna/ Kolkata / Guwahati/ Lucknow / Delhi/ Mumbai. This is a common application form for all the 2-year MBA Programs and the 1 year Post Graduate Diploma in Business Analytics. Kindly select the program that you are applying. You may specify the other programs under 2nd and 3rd preferences. You would be offered admission to either of the two programs depending upon the availability of seats.